As if there weren’t already enough guys coming after Conor McGregor and his UFC championship, the Irish superstar may soon have another opponent to worry about if this Texas pastor has his way. 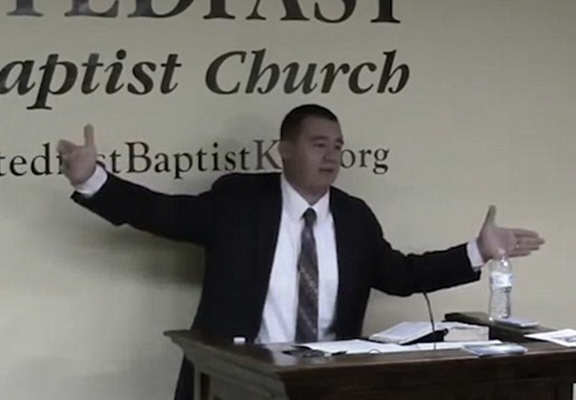 As reported by the Daily Mail, a new video shows the bizarre moment that Donnie Romero of the Stedfast Baptist Church in Fort Worth gives a sermon and openly prays for God to strike the 27-year-old McGregor down with a lightning bolt. But those comments really didn’t sit too well with Donnie the pastor, who furiously called on God to strike the Irishman dead in his latest bout. He’s a fighter. He’s nothing. He’s let money go to his head. He’s got pride, but the bigger they are, the harder they fall my friend. When things are going good [worldly friends] are behind you, when things go bad they are against you. I am going to pray that God strikes him down with a lightning bolt, so everybody in the world who believes the Bible even a little bit will know it was God, it was Jesus, that struck him down. He can just look down and with his little finger go ‘boom’. He [McGregor] is a wicked person and if you watch him and you’re a fan of his and you call yourself a Christian, shame on you, you’re not right with God. It’s wicked as hell. 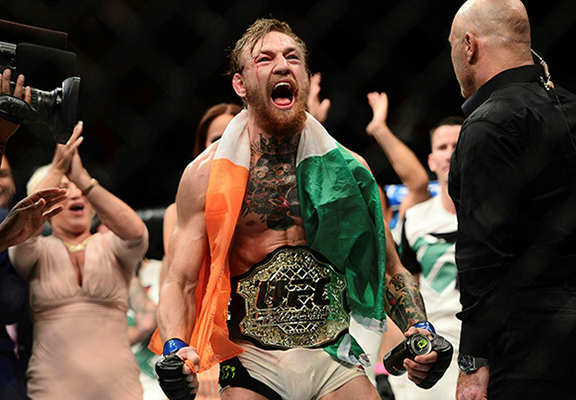 So maybe Rafael dos Anjos isn’t the only guy ‘The Notorious’ McGregor should be focusing on! The whole thing is very strange but I’m sure the similarly loudmouthed McGregor would at least admire how outspoken this pastor is, if nothing else.